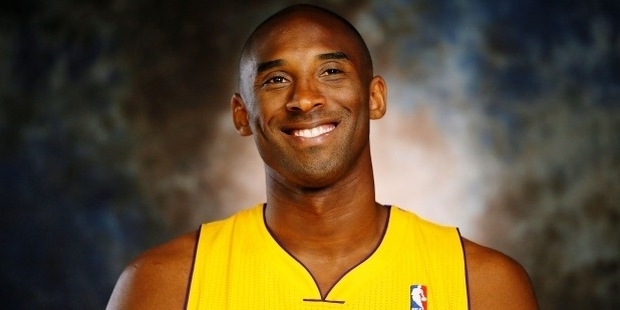 A highly-acclaimed basketball player, Kobe Bean Bryant plays for the Los Angeles Lakers of the National Basketball Association (NBA). He has played for the Lakers throughout his career, joining them directly after high school, and has won 5 NBA championships. As far as achievements go, he is a 16-time All-Star, a 15-time member of the All-NBA Team, as well as a 12-time member of the All-Defensive team. Rankings of 2013 place him at 3rd on the all-time postseasons scoring list and 4th on the all-time regular season scoring list. 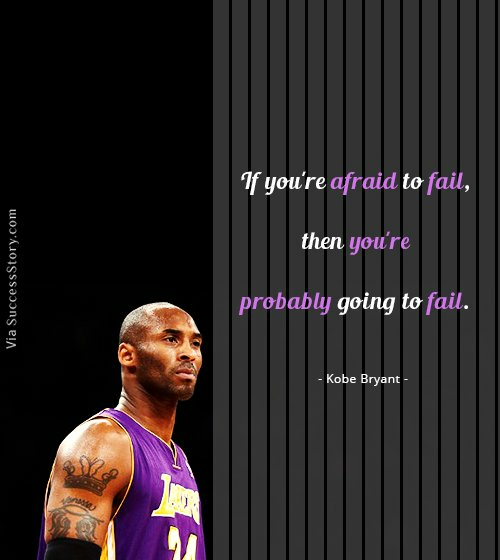 "If you're afraid to fail, then you're probably going to fail." 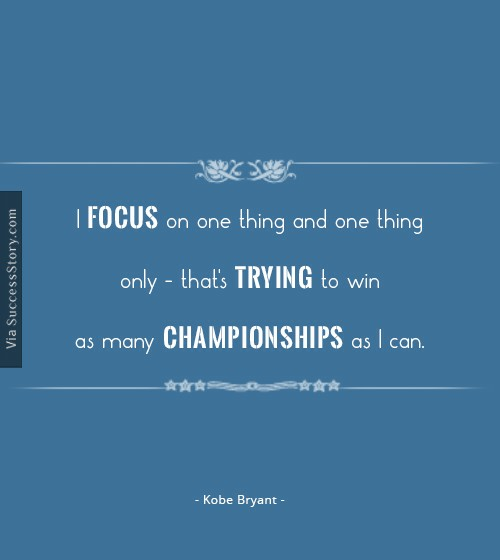 "I focus on one thing and one thing only - that's trying to win as many championships as I can." "I feel like killing everybody every time I go to the arena." "I was like a wild horse that had the potential to become Secretariat, but who was just too f---ing wild. So part of that was [Phil Jackson] trying to tame me." "I just got one more than Shaq. You can take that to the bank ... You guys know how I am. I don't forget anything." "Better learn not to talk to me. You shake the tree, a leopard's gonna fall out." "These young guys are playing checkers. I'm out there playing chess." "My parents are my backbone. Still are. They're the only group that will support you if you score zero or you score 40." "There's been a lot of talk of me being a one-man show but that's simply not the case. We win games when I score 40 points and we've won when I score 10." "I can’t relate to lazy people. We don’t speak the same language. I don’t understand you. I don’t want to understand you." "One thing you gotta know about me is I have absolutely no filter. I have no problem saying what the hell I think of someone." "The Black Mamba collection of watches is me: It is my alter ego, so to speak. As I mentioned before, it is sharp, cutting edge and sleek which are characteristics I try to apply when I’m out there on the basketball court." "I’m reflective only in the sense that I learn to move forward. I reflect with a purpose." "People just don’t understand how obsessed I am with winning." "It’s hard for me to grasp the concept of somebody being nervous when I’m talking to them." "Winning takes precedence over all. There’s no gray area. No almosts." "We're happy -- until next January when people start talking about trading one of us." "Friends can come and go, but banners hang forever." "Losing is losing, there aren't different degrees of losing. You either win a championship or you're s---. It's very black & white to me." "If I wanted to play, I'd still be playing for the Lakers. The health thing I could've figured out...I just don't want to play anymore." 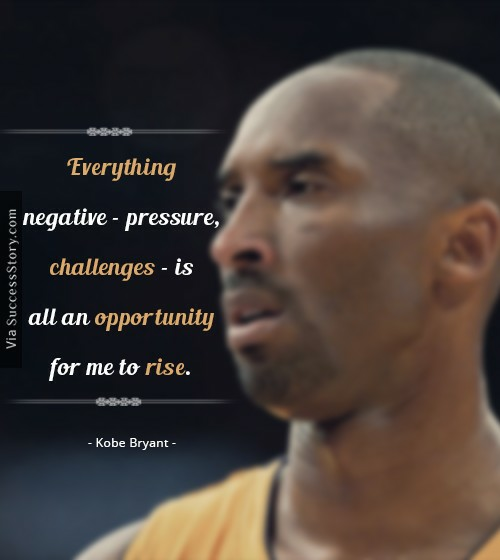 I’m extremely willful to win, and I respond to challenges. Scoring titles and stuff like that… it sounds, well, I don’t care how it sounds – to me, scoring comes easy. It’s not a challenge to me to win the scoring title, because I know I can. I’m playing against great players, playing against the best in the world. The competition – that’s what I’ve always wanted.